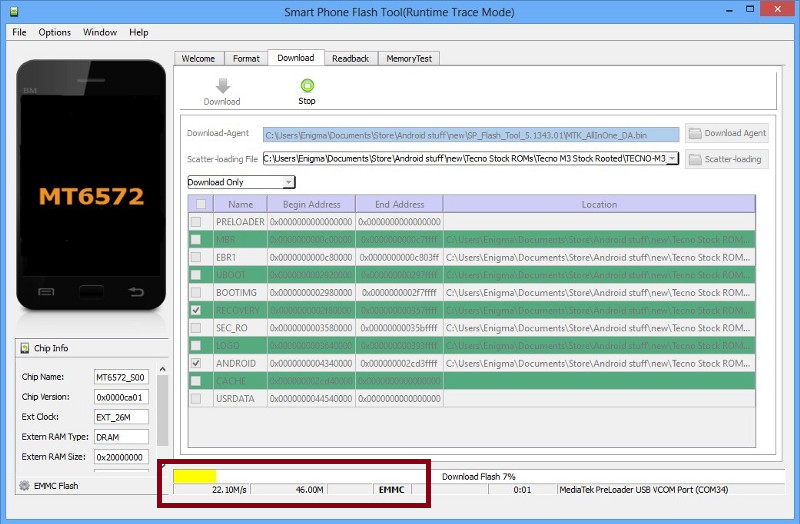 Download SP Flash Tool or SmartPhone Flash Tool all versions for Windows and Linux and learn to use SP Flash Tool to flash MediaTek stock ROM from this post. 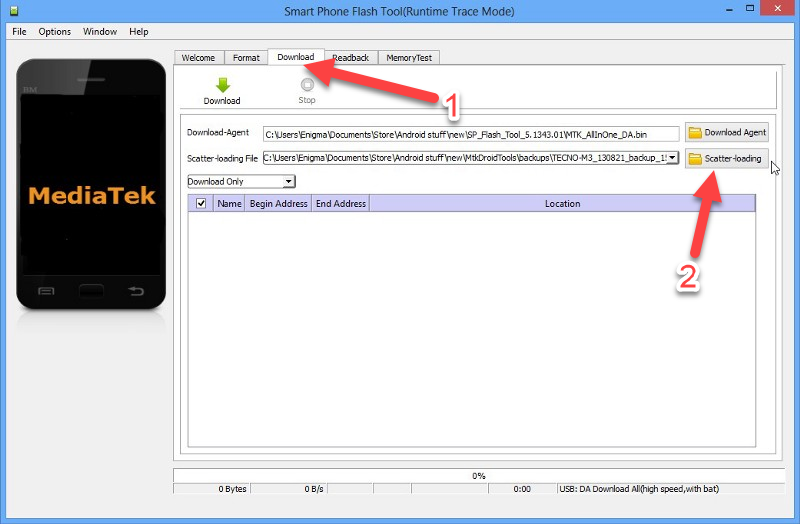 If you own a MediaTek chipset based smart devices and wish to install stock ROM or even a custom ROM on your device, then you will likely need SP Flash Tool utility to help you flashing the ROM. And on this post you will be presented with all the available versions from old to newest versions of SP Flash Tool for Windows and Linux Operating Systems based computer. You will also be guided to use SP Flash Tool to install either stock or custom ROM to your MediaTek Chipset powered device. So on this post you will find all your need in one single page. Before you download SP Flash Tool, it's good to find out what are the complete features this tool will give you. 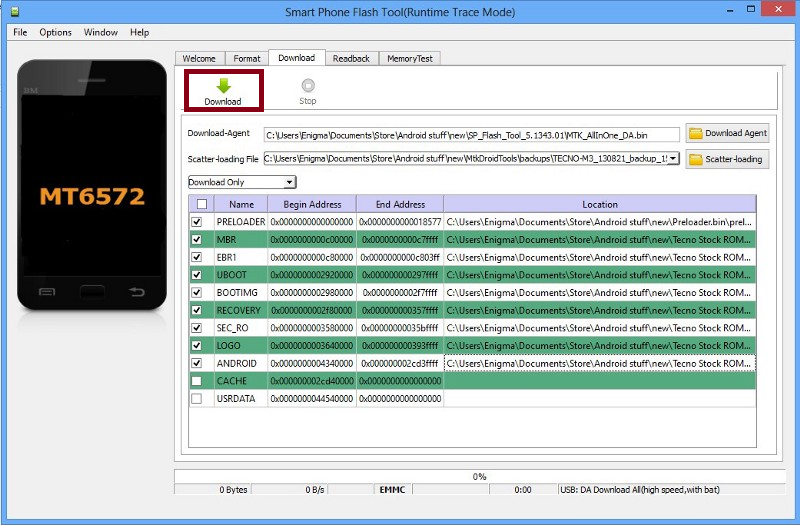 You can use SP Flash Tool to install stock ROM in order to upgrade or downgrade your existing stock ROM version guys. You can also install recovery to your device using SP Flash Tool, simply add the scatter file then locate the recovery.img to further installing it. You can either read or write parameter settings on your device. That means the users can simply read and write functions data for OTP or One Time Programming area. User can check and verifty the RAM on external memory and also NAND Flash of their device. You can format your Android MediaTek smart device. By loading the scatter file then connect your device to PC and then click on Format button. These are the preparations before you go to the full instructions. A Windows or Linux computer. A USB data cable to be used on connecting your device to computer. Of course have downloaded SP Flash Tool. You are recommended to firstly backup your personal data. Notes. Follow the entire steps and do not skip any steps to avoid bricking your device. 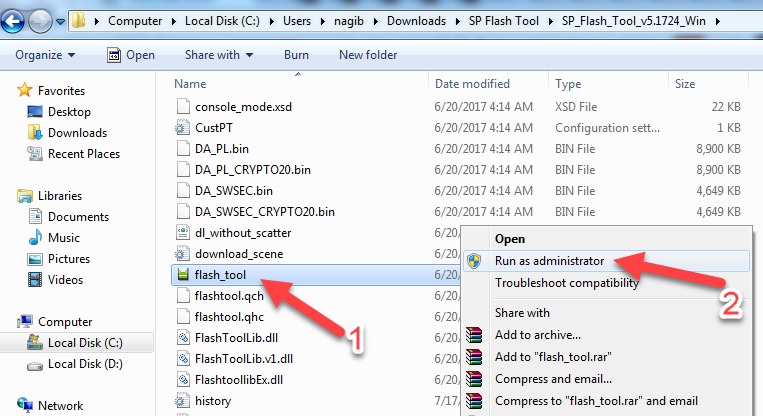 Step 1 -- Once you have downloaded the SP Flash Tool to your computer, extract the zip file. Step 2 -- Open SP Flash Tool by right-click on Flash Tool to choose Run As Administrator. Step 3 -- On the SP Flash Tool interface, just select Download tab, and choose the Scatter Loading button to get the Scatter File (.txt extension) on your computer. Step 4 -- Click the Android_Scatter file. Step 5 -- SP Flash Tool will then load your selected Scatter File. Step 6 -- Click the Download button now from SP Flash Tool interface. Step 7 -- Power off your Android smart device now then remove its battery -- if it is removable and if not just power it off only. Step 8 -- Connect your Android smart device now using the USB data cable. 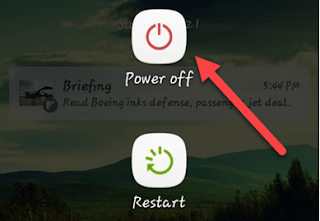 Step 9 -- Press Volume UP or Volume Down to quick the connection between your Android device and computer. 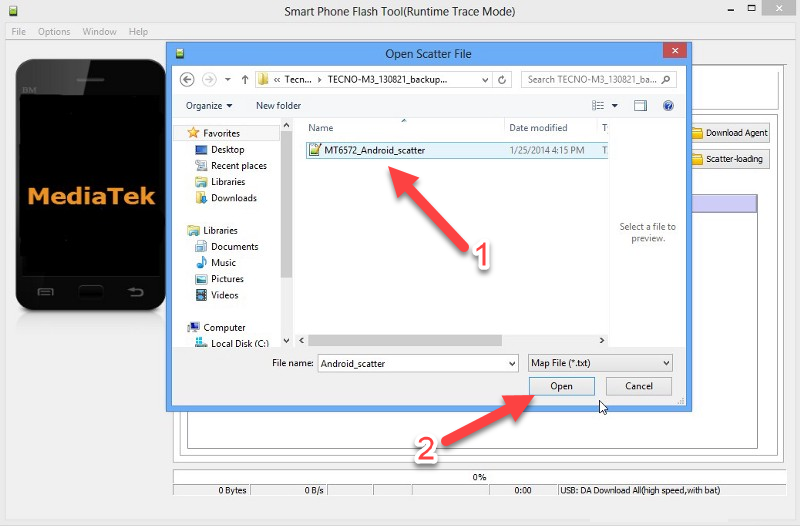 Step 10 -- Once your device's connected, SP Flash Tool will install your Android Scatter file and the process will be shown in yellow progressing bar. 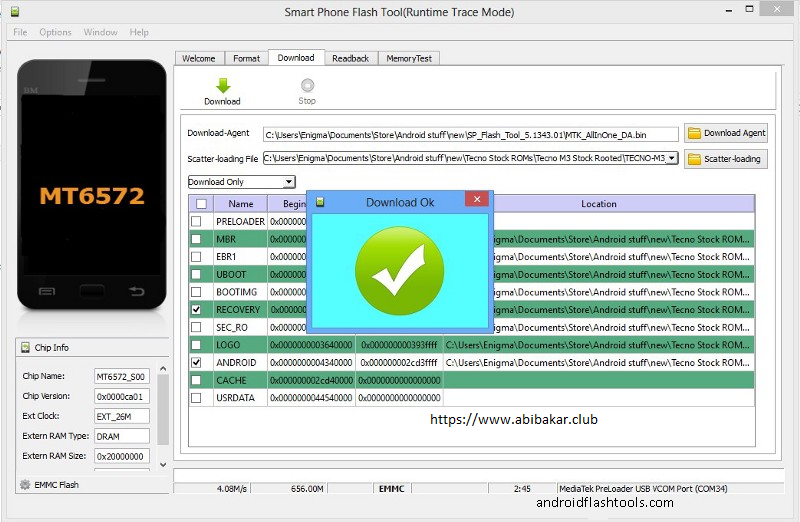 Step 11 -- You will see the small Download Ok window if SP Flash Tool has successfully installed the Scatter File on your Android smart device. Step 12 -- Congratulations because you have successfully installed a Scatter File on your Android MediaTek smart device and now you can disconnect your Android MediaTek smart device from computer. Make backup. It is recommended for you to firstly make necessary backups before using SP Flash Tool to flash the stock ROM or custom ROM, because doing so will erase all your personal data. Further assistance. If you need any assistance then please write it on the provided comment area. Your device warranty might be voided. I Those of you who are thinking to install a custom ROM, there is one thing you should know, that it will void your existing smart device's warranty. Remember that voiding warranty only applies for custom ROM flashing, not stock ROM flashing. Credits. SP Flash Tool is created and distributed by MediaTek Inc, therefore all credits should be given to the company for making this very handy tool available for us to use.